Most people have a plan in place for life, work, special occasions, holidays, and memorable events. Whether it's a birthday, an anniversary, a wedding, or any other special event, we ensure they are planned according to our scale, budget, and desires. Why should planning for your funeral be any different? By establishing an Oldsmar prepaid funeral plan, all of your final wishes will be met, without family members having to determine what you would have wanted. Have You Thought About an Oldsmar Prepaid Funeral Plan? Planning your own funeral is not something that most people think about day to day. 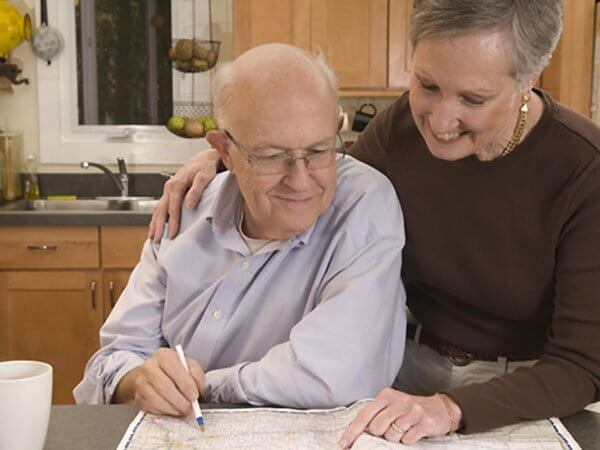 However, planning does ensure that you will receive the type of service you want and your loved ones are not burdened with having to make important decisions. At Holloway Funeral Home, we offer a variety of funeral and other memorial services to cater to your wishes and budget. After completing your Oldsmar prepaid funeral plan, you and your loved ones will be relieved knowing everything is taken care of. If you want a burial or cremation with a certain type of service, you know that is what will happen. No one will have to wonder whether or not they are making the right decision when it comes to your services, since you have specified everything ahead of time. Remember to let your family know that you have a plan in place and that it is paid for. When family members have to collaborate to make funeral arrangements, it can lead to disagreements or worse, feuds. If you have pre-planned your funeral, arguments will be avoided and everything will go smoothly. There is no reason for them to argue over what they think you want because you have made what you want very clear and already taken care of. Relieve your family of the financial stress of planning and paying for your funeral. Holloway Funeral Home offers a range of funeral plans and services to choose from. An Oldsmar prepaid funeral plan has many advantages and caters to your choices. Here are a few benefits for both you are your family when making this choice. Stress-free: Neither you nor your family members have to undergo financial anxiety to plan your funeral, the services, and whether you want to be buried or cremated. Financial freedom: The money that you prepay is kept in a trust or insurance, so that it is available when needed. The rates are locked in, meaning there is no increase in cost when the time comes. Your choice, your decision – you select everything regarding the service, the budget, and any family beliefs and religious preferences you prefer. Holloway Funeral Home has been in business of helping people planning funeral arrangements for over 40 years. We have a reputation and take pride in ensuring that our helpful and compassion staff help you plan the services you want. You can get started with our link below to our online pre-arrangement form. If you have any questions or problems feel free to visit our Oldsmar funeral home or call 813-855-2439 to speak to one of our remembrance planners for guidance or answers to any of your questions. Don’t put off planning you Oldsmar prepaid funeral plan so you can experience peace of mind that your family will not have the burden of planning or paying for your funeral services.